We are glad to inform you that Eurotech has announced its 6 Days Training and 1 Day Exam schedule for 2017. 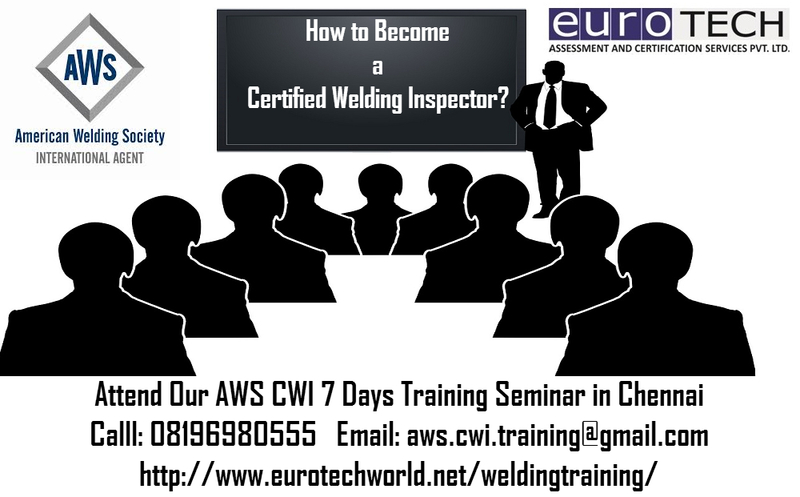 We are going to organize our new courses of AWS-CWI Certified Welding Inspector for India. So anyone who wants to become an AWS approved CWI Certified welding Inspector can join our course and get this prestigious certification and leads to greater heights in his career. What is certified Welding ? How to Renewal your AWS CWI Certificate? What is the difference between AWS CWI and CSWIP? Are you looking for AWS CWI Training Institute in India?